Will India's Response to Pulwama Deter Large-Scale Terror Attacks? India has now twice conducted retaliatory operations post major terror attacks and gone public with them, suggesting a threshold of casualties that will certainly trigger a military response. The Indian sub-continent has constantly been living under a shadow of no peace and no war. The latest flare-up between India and Pakistan caught analysts and security experts on both sides, as well as those outside, off-guard. Last time South Asia saw deployment of air assets in military combat was in Kargil, 1999. But the last aerial confrontation between India and Pakistan had happened in 1971, in a full-scale conventional war. The latest aerial duel between India and Pakistan derives its character from the past crisis, in that it was the first instance of aerial combat between India and Pakistan since the nuclearisation of the sub-continent. This episode has brought into existence a quantitative trigger for India’s retaliation that might act as a deterrent for suicide tactics or vehicle-borne improvised explosive device (VBIED) tactics. This would also make for prudent strategy on the part of Pakistan to not let such attacks happen, as they will allow further probing of the red-lines of its deterrent. In an environment of restricted information and denials, facts become the first casualty. As both sides have made claims that have been denied by the other, it is important to base the analysis first on facts that are certain before it is derived from conjecture. At this point it is certain that India attributed the Pulwama attack in which 40 Central Reserve Police Force personnel were killed to terror outfits in Pakistan. It conducted bombings at suspected Jaish-e-Mohammad (JeM) premises in Balakot in the mainland province of Khyber Pakhtunkhwa (KPK). Post the attack, the Ministry of External Affairs (MEA) statement called the strike a “non-military preemptive action” and emphasised that it was located away from civilian presence. Pakistan responded by firing across the Line of Control (LoC) with heavy weapons and conducted an aerial retaliation of its own which included a strike package of 24 fighter jets. In the ensuing action, one MIG-21 ‘Bison’ on Combat Air Patrol (CAP) mission was taken down when it pursued a Pakistani jet beyond the LoC, and the pilot was taken captive by the Pakistan military. Beyond this, of significant importance is the fact that an F-16 had participated in Pakistan’s raid and one of the F-16 fighters was taken down by an MIG-21 using Close Combat Missile (CCM) R-73. Finally, deescalation happened after Prime Minister Imran Khan declared that Pakistan would release the Indian flying commander as a “peace gesture”. There is also a debate on how much damage was inflicted by the Indian Air Force strikes in Balakot an ongoing debate between imagery analysts. Given that India has now twice conducted retaliatory attacks post major terror attacks and gone public with them –the claimed “surgical strikes” after the Uri attack in 2016 and the Balakot airstrikes after the Pulwama attack – it suggests the establishment of a vague but certain double-digit quantitative threshold of casualties that once inflicted will certainly trigger a military response. From Pakistan’s perception, this violence bargaining must now contend with the nature of attacks conducted by non-state outfits. VBIED or any other form of suicide or fidayeen attacks are usually complex attacks with the sole objective of inflicting high casualties. These have not been the norm in Kashmir, as many local outfits consider them un-Islamic. 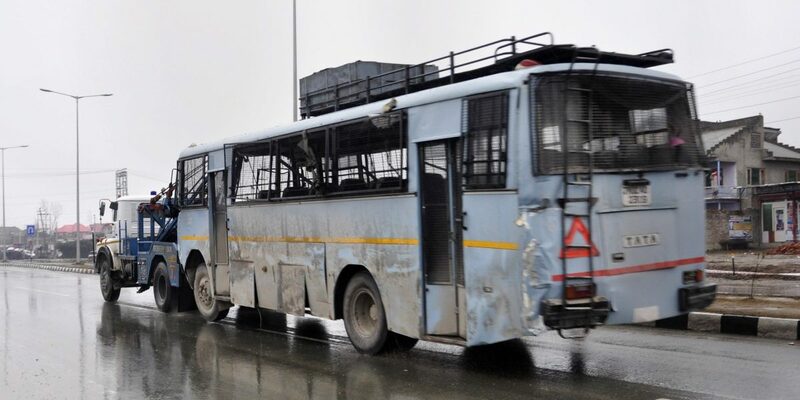 Only eight suicide attacks have been conducted since 2000, including the last one in Pulwama. If Pakistan wanted to signal an escalation in Kashmir by conducting a VBIED attack after it has become certain that Taliban will be involved in whatever end-state emerges in Kabul, it may have to reconsider that strategy. Any tactics that lead to high casualties from here on are a sure recipe for a military confrontation. This is not to say that other form of triggers like an attack on a major urban dwelling or symbol of national prestige will not trigger a response, but a quantitative threshold is operational from here on. India, by attacking in Balakot, crossed two out of the three qualitative thresholds. First was the vertical threshold of deploying air power between two nuclear adversaries and second was the spatial threshold of attacking in mainland KPK, rather than the usual action-reaction theatre of Kashmir. The third threshold would have been to attack the actor in control, that is the Pakistan military, rather than meting out the punishment to the proxy actor that is the terror outfit. The Pakistan Air Force (PAF) reciprocated with an air raid of its own and claimed to attack certain non-military elements, although one does not know what that means since there are no non-state actors on the Indian side. In a sense, this reflected that Pakistan will match any vertical escalation with its own escalation, that is air power will be met with air power as a matching conventional response. This conveys a certainty of conventional response, but does not account for the spatial threshold that was crossed by India by attacking mainland Pakistan, as reciprocal action was not conducted deep inside Indian territory and in fact stayed limited to border areas across the Line of Control in Kashmir. This could be a result of deliberate calibration or the result of being challenged by the Indian Air Force (IAF). Yet it genuinely opens the possibility for India to probe Pakistan’s nuclear red lines, as there is now a space for one-off limited conventional strikes not to be confused with a limited conventional war, which would be on a larger scale and heavily engage military targets on both sides. For thresholds to be established, they need repetition over an appreciable interval of time. India didn’t respond with a counter after PAF’s raid. If one considers the counterfactual scenario that Pakistan would not have captured the Indian pilot alive after its counter raid, an event of direct political consequence to Prime Minister Narendar Modi because it catches a lot more eye-balls, then one must contend with the possibility of India re-launching an aerial-attack in response. Given that India enjoys superiority in terms of aerial force capability and wanted to signal escalation dominance as the politico-military objective ever since the start, it could have well launched another counter of its own, limited to the border areas. Military learning on both sides may therefore make it likely that the next action-reaction cycle post a crisis-trigger may see vertical escalation along the LoC and limited to Kashmir. India viewed this as an effective way for a deterrence by punishment or a “lawn-mowing” strategy, while Pakistan tried to use the crisis to draw third-party mediation by being more risk-inclined than expected. This may not be good move for Pakistan the next time, because deescalation in this case was very likely due to the chance capture of a pilot who fell on the other side of LoC. F-16s form the frontline assets of PAF, when aggressing they are likely to be engaged by MIG-21s or MIG-27s and in the future by the much more advanced Light Combat Aircraft (LCA)-Tejas in the Within Visual Range (WVR) envelope. Even if these are engaged in the Beyond Visual Range (BVR), it very likely that the help of ground-based radars and future integration of BVR Air to Air Missiles like homegrown ASTRA with Tejas will prove more than a match for an aggressing F-16 in combat. The fact that an Indian MIG-21, a third-generation fighter, could take down a far more capable and expensive fourth generation F-16 fighter, may not be the price that Pakistan military will be able to afford repeatedly. In essence, an aircraft worth Rs 8 crore took down another worth Rs 250 crore. This is something Pakistan can ill-afford too often. A low-cost, militant outfit-based strategy that elicits a limited response on the ground is more suitable and allows Pakistan to keep the pot boiling in Kashmir. Given these factors, it will be pragmatic choice for Pakistan to disallow suicide tactics but not reign in occasional skirmishes along the LoC and material and personnel support to militant outfits based within and outside Kashmir. The trouble here, of course, is that the agency for the choice of attack and target type doesn’t always lie with the state actor. When Pakistan looks back at the episode, irrespective of how much damage was inflicted in the IAF strike, despite the display of a great public relations campaign and the prize catch of Indian fighter pilot, it will realise that it must reign in outfits capable of conducting spectacular attacks to avoid evoking a strong military response from India, and in the process allowing the credibility of its deterrent to be probed further. 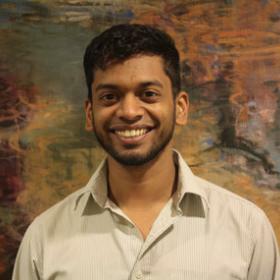 Joy Mitra is a fellow in the Asia-Pacific programme at the EastWest Institute in New York and a visiting fellow in the South Asia programme at the Stimson Center in Washington, D.C.